Funk Wav Bounces Vol. 1 was supported by five singles: "Slide", "Heatstroke", "Rollin", "Feels" and "Faking It". The album received generally positive reviews from critics, and debuted at number two on both the UK Albums Chart and the US Billboard 200. Quavious Keyate Marshall, known professionally as Quavo, is an American rapper, singer, songwriter and record producer. He is best known as a member of the hip hop and trap music trio Migos. Quavo is related to his fellow Migos members, being Takeoff's uncle and Offset's cousin. Kiari Kendrell Cephus, known professionally as Offset, is an American rapper, singer and songwriter from Lawrenceville, Georgia. He is a member of the hip hop and trap music trio Migos, alongside cousins Takeoff and Quavo. 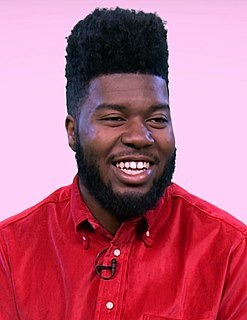 Khalid Donnel Robinson, known mononymously as Khalid, is an American singer and songwriter. He is signed to Right Hand Music Group and RCA Records. His debut single, "Location", was released in July 2016 and peaked at number 16 on the US Billboard Hot 100 chart and was later certified quadruple platinum by the Recording Industry Association of America (RIAA). His debut studio album, American Teen, was released on March 3, 2017. In 2018, "Love Lies", his duet with singer Normani, recorded for the Love, Simon film soundtrack, reached the top ten of the Billboard Hot 100. The album's fifth single, "Faking It", was released to contemporary hit radio on 17 October 2017. The song features guest vocals from American singer Kehlani and American rapper Lil Yachty. American singer Katy Perry has released five studio albums, one live album, two extended plays (EP), 29 singles, and five promotional singles. Perry has been certified for 99 million digital singles and 6 million albums in the United States. She is also the fourth best selling digital singles artist in the US according to Recording Industry Association of America (RIAA). Throughout her career, Perry has sold over 40 million albums and 125 million singles globally. She currently holds the record for most 5-million-selling singles in the United States, with six of her singles selling over 5 million. Perry also holds the record for the most 6-million-selling songs, with three of her songs—"Firework", "Roar", and "Dark Horse"—selling over 6 million copies. All three have also received Diamond song certifications from the RIAA, making her the first artist to accomplish such a feat. 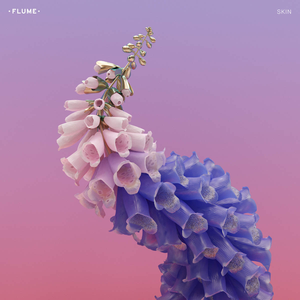 Skin is the second studio album by Australian electronic musician Flume. It was released on 27 May 2016 by Future Classic. The album marks the second full-length release since his self-titled debut in 2012, making it four years between releases. Brittany Talia Hazzard, professionally known as Starrah, is an American songwriter, singer and rapper. She has written 14 singles thus far that have reached Top 20 on the Billboard Hot 100. 1 of which went No. 1 and 5 peaking in the top 10. She has cowritten songs such as Rihanna's "Needed Me", Camila Cabello – "Havana", Maroon 5 – "Girls Like You", "Drake – "Fake Love", Halsey – "Now or Never", Kevin Gates' "2 Phones, and Nicki Minaj's "No Frauds", as well as studio albums including Travis Scott's Birds in the Trap Sing McKnight and 5 songs on Calvin Harris's Funk Wav Bounces Vol. 1, including "Feels" featuring Pharrell Williams, Katy Perry, and Big Sean. Witness is the fifth studio album by American singer Katy Perry. It was released on June 9, 2017, by Capitol Records. Five singles aided the album's release: "Chained to the Rhythm" featuring Skip Marley on February 10, 2017, "Bon Appétit" featuring Migos on April 28, "Swish Swish" featuring Nicki Minaj on May 19, "Save as Draft" on June 26, and "Hey Hey Hey" on January 12, 2018. Witness received mixed reviews from music critics. It topped the charts in Canada, Spain, and the United States while reaching number two in Australia, South Korea, Mexico, and New Zealand and the top five in nine other nations. To accompany the album's release, the singer broadcast herself for four days on YouTube with a four-day live-stream titled Katy Perry Live: Witness World Wide. She also embarked on Witness: The Tour in support of it. 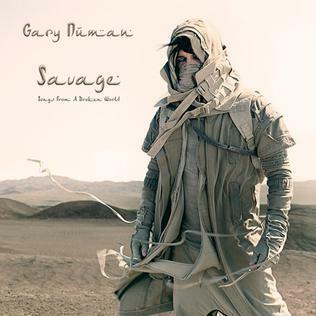 Savage is the eighteenth solo studio album by English musician Gary Numan, released on 15 September 2017 by BMG and The End. The album was first announced to be a part of a fan-backed Pledge Music Campaign on 12 November 2015. On 9 November 2018, a followup EP titled The Fallen was released. The EP features similar artwork to Savage, and it was intended to complement the album. 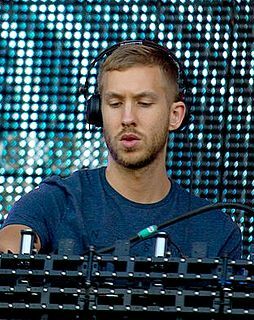 "Faking It" is a song by Scottish DJ and record producer Calvin Harris. It features vocals from American singer Kehlani and American rapper Lil Yachty. It was released as the fifth and final single from Harris's fifth studio album, Funk Wav Bounces Vol. 1 (2017). It was written by Harris, Lil Yachty, and Jessie Reyez, being produced by Harris himself, and was released to contemporary hit radio in the US on 17 October 2017 through Columbia Records.It was later sent to UK contemporary hit radio on 17 November 2017 and in the Italy on 24 November 2017 through Sony. 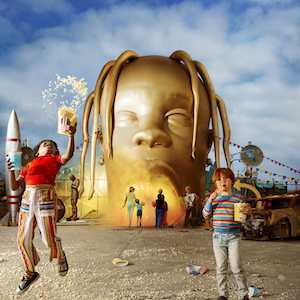 Astroworld is the third studio album by American rapper Travis Scott. It was released on August 3, 2018, by Cactus Jack Records, Epic Records, and Grand Hustle Records. The album follows his second studio album Birds in the Trap Sing McKnight (2016), and his collaborative album Huncho Jack, Jack Huncho (2017) with Quavo. The album features guest vocals from Kid Cudi, Frank Ocean, Drake, The Weeknd, James Blake, Swae Lee, Gunna, Philip Bailey, Nav, 21 Savage, Quavo, Takeoff, Juice Wrld, Sheck Wes and Don Toliver, among others. Production was handled by multiple producers, including Mike Dean, Allen Ritter, Hit-Boy, WondaGurl, Tay Keith, Tame Impala, Frank Dukes, Sonny Digital and Thundercat. 1 2 3 Voynovskaya, Nastia (3 July 2017). 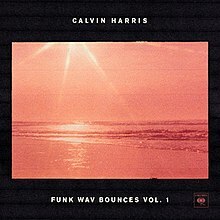 "Calvin Harris: Funk Wav Bounces Vol. 1 Review". Paste . Retrieved 3 July 2017. 1 2 3 Petridis, Alexis (30 June 2017). "Calvin Harris: Funk Wav Bounces Vol 1 review – EDM's Mr Darcy warily eyes a post-disco future". The Guardian . Retrieved 2 July 2017. 1 2 Barlow, Eve (7 July 2017). "Calvin Harris: Funk Wav Bounces Vol. 1 Album Review". Pitchfork . Retrieved 12 July 2017. ↑ DeVille, Chris (9 May 2017). "Calvin Harris Announces New Album Funk Wav Bounces Vol. 1". Stereogum . Retrieved 20 May 2017. ↑ Brown, Eric Renner. "Calvin Harris' next album features Katy Perry, Nicki Minaj, more". Entertainment Weekly . Retrieved 20 May 2017. ↑ Gaca, Anna (9 May 2017). "Calvin Harris' Feature-Stacked New Album Is Called... Funk Wav Bounces Vol. 1". Spin . Retrieved 20 May 2017. ↑ Harris, Calvin (12 June 2017). "PRE-ORDER MY ALBUM HERE". Twitter. Retrieved 24 June 2017. ↑ Bein, Kat (24 January 2017). "Calvin Harris Plans to Release 10 New Songs in 2017". Billboard . Retrieved 20 May 2017. 1 2 "Calvin Harris Announces Star-Studded New Album: Frank Ocean, Nicki, Travis Scott, Katy Perry, Many More". Pitchfork. 9 May 2017. Retrieved 20 May 2017. ↑ Dandridge-Lemco, Ben (10 May 2017). 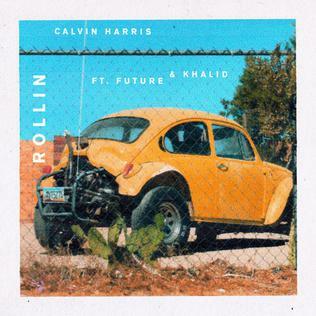 "Calvin Harris's "Rollin" Single, Featuring Future And Khalid, Is Coming Out This Friday". The Fader. Retrieved 21 July 2017. ↑ Findlay, Mitch (14 June 2017). "Calvin Harris Announces Single With Big Sean, Pharrell, & Katy Perry". HotNewHipHop. Retrieved 21 July 2017. ↑ "Funk Wav Bounces Vol.1 by Calvin Harris". AnyDecentMusic? . Retrieved 6 July 2017. 1 2 "Reviews and Tracks for Funk Wav Bounces, Vol. 1 by Calvin Harris". Metacritic . Retrieved 6 July 2017. 1 2 Yeung, Neil Z. "Calvin Harris – Funk Wav Bounces, Vol. 1". AllMusic . Retrieved 1 July 2017. 1 2 Purdom, Clayton (7 July 2017). "Toro Y Moi, Calvin Harris, and more in this week's music reviews". The A.V. Club. Retrieved 21 July 2017. 1 2 Brennan, Collin. "Calvin Harris – Funk Wav Bounces Vol. 1". Consequence of Sound . Retrieved 7 July 2017. 1 2 Gill, Andy (5 July 2017). "Album reviews: Haim – Something To Tell You, Calvin Harris – Funk Wav Bounces Vol. 1, Offa Rex – The Queen Of Hearts". The Independent . Retrieved 7 June 2017. 1 2 Cooper, Leonie (5 July 2017). "Calvin Harris – 'Funk Wav Bounces Vol.1' Review". NME . Retrieved 7 June 2017. ↑ Smith, Tanner (12 July 2017). "Calvin Harris: Funk Wav Bounces Vol. 1". PopMatters. Retrieved 21 July 2017. 1 2 Goller, Josh (4 July 2017). "Calvin Harris: Funk Wav Bounces Vol. 1". Slant Magazine . Retrieved 22 July 2017. ↑ O'Brien, Jon (5 July 2017). "Calvin Harris – Funk Wav Bounces Vol. 1 Album Review" . Retrieved 22 July 2017. ↑ "Billboard's 50 Best Albums of 2017: Critics' Picks". Billboard. 12 December 2017. Retrieved 14 December 2017. ↑ "The Best Albums of 2017". Complex. 6 December 2017. Retrieved 14 December 2017. ↑ "The 17 Best Albums of 2017: Kendrick Lamar, Lorde and Other Favorites". Newsweek. 15 December 2017. Retrieved 25 December 2017. ↑ "Rap-Up's 20 Best Albums of 2017". Rap-Up. 12 December 2017. Retrieved 14 December 2017. ↑ Jones, Alan (7 July 2017). "Official Charts Analysis: Ed Sheeran's ÷ is No.1 for the second consecutive week following post-Glastonbury return". Music Week . Retrieved 7 July 2017. (Subscription required (help)). ↑ Caulfield, Keith (9 July 2017). "DJ Khaled Spends Second Week at No. 1 on Billboard 200, Calvin Harris Debuts at No. 2". Billboard. Retrieved 10 July 2017. ↑ "Taylor Swift's '1989' Spends Second Week at No. 1 on Billboard 200 Chart". Billboard. Retrieved 1 August 2017. ↑ Bruner, Raisa. "Here Are the Spotify's Most Streamed Songs of Summer". Time. Retrieved 13 September 2017. ↑ Bein, Kat (18 October 2017). "Calvin Harris Thanks Fans For Making 'Funk Wav Bounces Vol. 1' Gold, Reveals Next Single". Billboard. Retrieved 17 February 2018. 1 2 Funk Wav Bounces Vol. 1 (CD liner notes). Calvin Harris. Columbia Records. 2017. 43422-9. ↑ "Australiancharts.com – Calvin Harris – Funk Wav Bounces Vol. 1". Hung Medien. Retrieved 8 July 2017. ↑ "Austriancharts.at – Calvin Harris – Funk Wav Bounces Vol. 1" (in German). Hung Medien. Retrieved 13 July 2017. ↑ "Ultratop.be – Calvin Harris – Funk Wav Bounces Vol. 1" (in Dutch). Hung Medien. Retrieved 7 July 2017. ↑ "Ultratop.be – Calvin Harris – Funk Wav Bounces Vol. 1" (in French). Hung Medien. Retrieved 7 July 2017. ↑ "Calvin Harris Chart History (Canadian Albums)". Billboard. Retrieved 10 July 2017. ↑ "Czech Albums – Top 100". ČNS IFPI. Note: On the chart page, select 201727 on the field besides the word "Zobrazit", and then click over the word to retrieve the correct chart data. Retrieved 11 July 2017. ↑ "Danishcharts.dk – Calvin Harris – Funk Wav Bounces Vol. 1". Hung Medien. Retrieved 12 July 2017. ↑ "Dutchcharts.nl – Calvin Harris – Funk Wav Bounces Vol. 1" (in Dutch). Hung Medien. Retrieved 8 July 2017. ↑ "Calvin Harris: Funk Wav Bounces Vol.1" (in Finnish). Musiikkituottajat – IFPI Finland. Retrieved 9 July 2017. ↑ "Le Top de la semaine : Top Albums – SNEP (Week 27, 2017)". Syndicat National de l'Édition Phonographique . Retrieved 11 July 2017. ↑ "Offiziellecharts.de – Calvin Harris – Funk Wav Bounces Vol. 1" (in German). GfK Entertainment Charts. Retrieved 7 July 2017. ↑ "Official IFPI Charts – Top-75 Albums Sales Chart (Week: 35/2017)". IFPI Greece. Archived from the original on 13 September 2017. Retrieved 13 September 2017. ↑ "Irish-charts.com – Discography Calvin Harris". Hung Medien. Retrieved 8 July 2017. ↑ "Italiancharts.com – Calvin Harris – Funk Wav Bounces Vol. 1". Hung Medien. Retrieved 8 July 2017. ↑ "Charts.org.nz – Calvin Harris – Funk Wav Bounces Vol. 1". Hung Medien. Retrieved 7 July 2017. ↑ "Norwegiancharts.com – Calvin Harris – Funk Wav Bounces Vol. 1". Hung Medien. Retrieved 8 July 2017. ↑ "Oficjalna lista sprzedaży :: OLiS - Official Retail Sales Chart". OLiS. Polish Society of the Phonographic Industry. Retrieved 13 July 2017. ↑ "Portuguesecharts.com – Calvin Harris – Funk Wav Bounces Vol. 1". Hung Medien. Retrieved 14 July 2017. ↑ "Official Scottish Albums Chart Top 100". Official Charts Company. Retrieved 8 July 2017. ↑ "gaon chart" (in Korean). Gaon Music Chart . Retrieved 5 August 2017. ↑ "Spanishcharts.com – Calvin Harris – Funk Wav Bounces Vol. 1". Hung Medien. Retrieved 12 July 2017. ↑ "Swedishcharts.com – Calvin Harris – Funk Wav Bounces Vol. 1". Hung Medien. Retrieved 11 August 2017. ↑ "Swisscharts.com – Calvin Harris – Funk Wav Bounces Vol. 1". Hung Medien. Retrieved 12 July 2017. ↑ "Official Albums Chart Top 100". Official Charts Company. Retrieved 8 July 2017. ↑ "Calvin Harris Chart History (Billboard 200)". Billboard. Retrieved 11 July 2017. ↑ "Calvin Harris Chart History (Top Dance/Electronic Albums)". Billboard. Retrieved 11 July 2017. ↑ "Calvin Harris Chart History (Top R&B/Hip-Hop Albums)". Billboard. Retrieved 11 July 2017. ↑ "ARIA End of Year Albums 2017". Australian Recording Industry Association. Retrieved 5 January 2018. ↑ "Jaaroverzichten 2017: Albums" (in Dutch). Ultratop. Retrieved 17 August 2018. ↑ "Top Canadian Albums – Year-End 2017". Billboard. Retrieved 15 December 2017. ↑ "Album Top-100 2017". Hitlisten. Retrieved 11 January 2018. ↑ "Top Selling Albums of 2017". Recorded Music NZ. Retrieved 22 December 2017. ↑ "Årslista Album – År 2017" (in Swedish). Sverigetopplistan . Retrieved 16 January 2018. ↑ "End of Year Album Chart Top 100 – 2017". Official Charts Company. Retrieved 10 January 2018. ↑ "Top Billboard 200 Albums – Year-End 2017". Billboard. Retrieved 12 December 2017. ↑ "Top Dance/Electronic Albums – Year-End 2017". Billboard. Retrieved 22 December 2017. ↑ "Top R&B/Hip-Hop Albums – Year-End 2017". Billboard. Retrieved 22 December 2017. ↑ "Canadian album certifications – Calvin Harris – Funk Wav Bounces Vol. 1". Music Canada . Retrieved 3 October 2017. ↑ "Polish album certifications – Calvin Harris – Funk Wav Bounces Vol. 1" (in Polish). Polish Society of the Phonographic Industry . Retrieved 7 July 2018. ↑ "Sverigetopplistan – Sveriges Officiella Topplista" (To access, enter the search parameter "Calvin Harris" and select "Search by Keyword"). Sverigetopplistan . Retrieved 6 October 2017. ↑ "The Official Swiss Charts and Music Community: Awards (Calvin Harris; 'Funk Wav Bounces Vol. 1')". IFPI Switzerland. Hung Medien. Retrieved 18 December 2018. ↑ "British album certifications – Calvin Harris – Funk Wav Bounces Vol. 1". British Phonographic Industry . Retrieved 6 October 2017. Select albums in the Format field. Select Silver in the Certification field. Type Funk Wav Bounces Vol. 1 in the "Search BPI Awards" field and then press Enter.